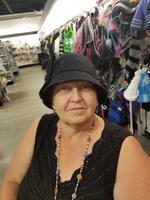 Provide comfort for the family of Sandra Dinsmore-Poole with a meaningful gesture of sympathy. Sandra (“Sandy”) Marie Dinsmore-Poole passed away on Jan. 16, 2019, at home after a brave fight against cancer on her loving and generous terms. In death, as in life, she approached life’s close with a sense of adventure, wonder, seriousness and with her seemingly inexhaustible love and compassion for all the people who walked with her. She is home now among the verdant fields in the loving embrace of those who came before and will meet up with her in time. Sandra was born in Butte in 1955 to William M. Dinsmore and Lucile M Dinsmore, the second of two children in a family which also included her older sister Sharon, and later as she found out, a brother, Jimmy. Early in her childhood the family moved to Phillipsburg, following the mining fortunes of area. She graduated from Granite High School in 1974 and had many lifelong friends. In 1976, she married Timothy L. Norman and they had two children, William ("Bill") T. Norman, in 1979 and Christine ("Chrissie") S. Norman (m. Tolhurst) in 1982. Being a mother was a dream of hers and she was able to find so much joy in her two children and fulfilling that role. She loved unwaveringly both her children and her children-in-law, Jenny, who married Bill; and Spencer, who married Chrissie. She became a grandma for the first time in 2003 when Christine gave birth to Jaeda M. Dinsmore and again in 2007 when William and wife Jenny welcomed Cora June and in 2013 when he and Jenny welcomed Elliott Sharon. She loved being a grandma and talked of her grandchildren with so much pride and absolute joy. Although her marriage to Timothy did not last, she did meet her love, Jeffrey Poole, in 2002 and married him on July 4, 2012. They had many adventures together from camping to bonfires in the backyard, gardening and shared a love for the Montana Griz, attending many games together. Sticking by each other through thick and thin was their goal and they did it, with Jeff lovingly caring for Sandra until the very end. The family would like to thank Terry and Butch and all of her team at Partners in Home Care Hospice of Missoula. She had been an employee of PIHC until her illness made it impossible and they lovingly cared for her like family. She was preceded in death by her father William M. Dinsmore, mother Lucile M. Dinsmore, sister Sharon Newbold, brother Jimmy, and father-in-law James E. Poole Jr. She is survived by her husband Jeff Poole, her children William Norman and Christine Tolhurst, children-in-law Jenny Norman and Spencer Tolhurst, grandchildren Jaeda M. Dinsmore, Cora J. Norman, and Elliott S. Norman, her brother-in-law David Newbold, nephews David and Yancy Newbold, niece Maria Newbold, her aunt Shirley Dinsmore, her mother-in-law Kathy Poole, her former husband Timothy Norman, brothers-in-law James O’Brien and Daniel Norman, nephews Michael O’Brien, John O’Brien, Daniel O’Brien, and Austin Norman. She is also survived by cousins Carol and Bill Coombs, Jacque Dinsmore, Theresa Brendal, Jimmy Kerstein, Candy Kerstein, Cindy Cox, as well as friends Paul and Nina Murch and Dan and Vicky Phelps, Butch and Colleen Baldwin, and Debbie Cox. As Sandra touched many lives throughout her time here, this list is non-conclusive and fails to include many people who will hold her in their hearts. To send flowers in memory of Sandra Dinsmore-Poole, please visit our Heartfelt Sympathies Store. Provide comfort for the family of Sandra Dinsmore-Poole by sending flowers. Sandra, you will be missed by all who knew you and loved you. We know you are at peace and looking down on your family as their angel in heaven. I was glad to have known you as kids in school and as friends as we grew up and shared pics and stories of our children. Love, thoughts and prayers go out to Jeff, Christine and family, Bill and family and all your grandchildren. Love Bob and Jackie Lingle Forever in our hearts and memories.